Many MoviePass subscribers are complaining that the cancel button on the app isn’t letting them cancel their subscription. But there’s a simple solution they may not be considering. Many subscribers aren’t choosing from an option in the “Reason for cancellation” drop-down menu. Instead, they think they only have to write their reason in the text box, but that’s optional. The drop-down menu is required to cancel. The movie-theatre subscription service MoviePass can’t catch a break, and it just made some significant changes to try to bounce back. But many subscribers are hovering their finger over the cancel button or have already hit it. Hitting that button, however, hasn’t worked for some. Dozens of Twitter users have complained that the cancel button “isn’t working” on the MoviePass app. But their troubles may boil down to a simple misunderstanding. While it’s unclear why the app would crash when users try to hit the cancel button, as some have claimed, there seems to be an easy solution for many others. The common theme in nearly all the instances I’ve seen on Twitter in which people are complaining they can’t cancel is that they couldn’t press the button, even if they wrote in the provided box asking why they were leaving the service. But writing in the box is actually optional. Users don’t have to write anything. 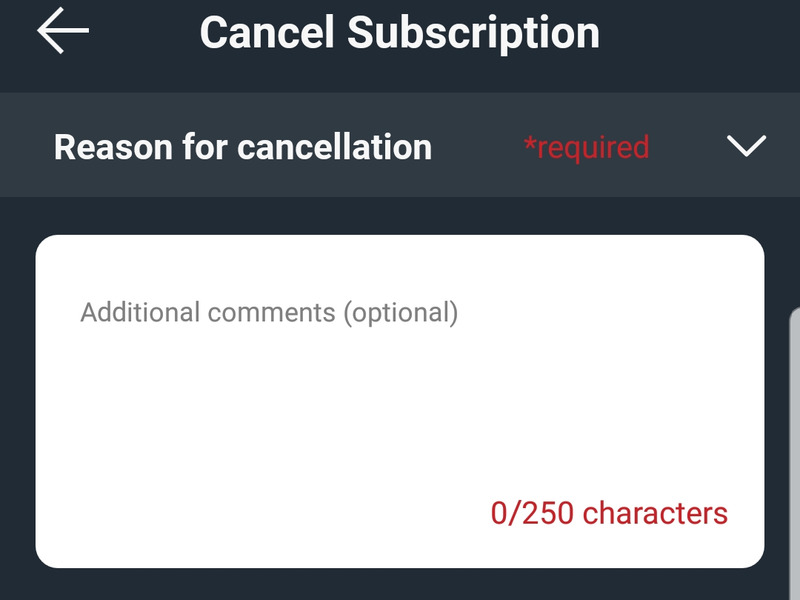 But they do have to select from the drop-down menu above that text box why they are cancelling, based on the provided options. Some people who posted screenshots on Twitter along with their complaints had written in the box but had not selected an option from the drop-down menu. That’s a required field, and when users try to hit the cancel button, they get a warning if they haven’t chosen an option from that menu yet. So, from the beginning: To cancel MoviePass, hit the account button on the app’s home screen; then choose “Account Details”; then go to “Plan & Billing Info”; next to where it says what your monthly plan is, there will be a “Cancel” button – hit that and you will be brought to the “Cancel Subscription” page; here, you must click the “Reason for cancellation” drop-down menu and select from the given options; then you can choose whether to write a detailed reason – it’s up to you; and then you can finally press that “Cancel Subscription” button on the bottom. If you’ve tried these steps and still can’t cancel your MoviePass subscription, email the author at [email protected] with the steps you’re taking and what happens.